In what seems likely to be his first of several year-end awards, Rory McIlroy was named the PGA of America Player of the Year and Vardon Trophy winner on Monday. 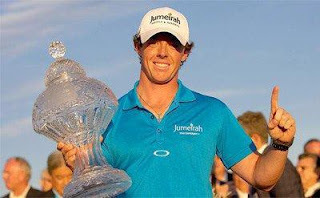 The 23-year-old Northern Irishman won his first Player of the Year award by finishing with 100 points, while Tiger Woods, a three-time winner in 2012, was runner-up with 66 points. McIlroy’s adjusted scoring average was 68.87, based on the 60-round minimum. 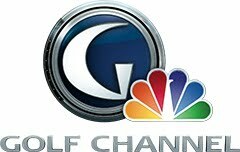 Woods, however, was ineligible for the award after withdrawing during the final round of the WGC-Cadillac Championship on March 11. The incomplete round resulted in a .10 penalty, bumping his adjusted scoring average from 68.90 to 69. Woods is the all-time leader in season-ending awards, having won 10 PGA Player of the Year awards and eight Vardon Trophies since 1997. Other season-ending awards still be announced include the Arnold Palmer (leading money winner) and Byron Nelson (lowest adjusted scoring average) awards.